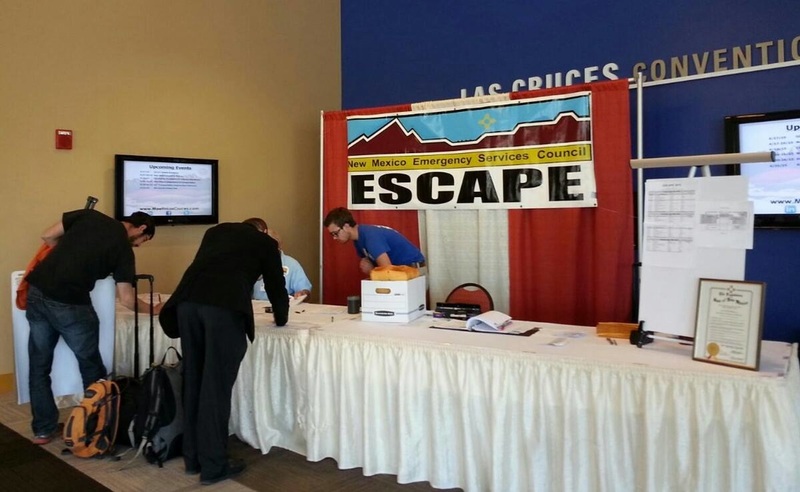 ﻿﻿﻿﻿﻿﻿ESCAPE or "Emergency Services Council Annual Preparedness Event" is the NMSARC annual statewide conference. 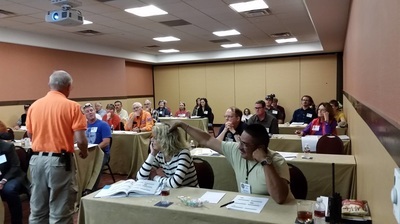 Volunteers from ﻿throughout the state meet to network and train on all aspects of effective search and rescue. It is held at various locales around the state and usually alternates between the north and south. Our annual General Meeting is also held during ESCAPE. 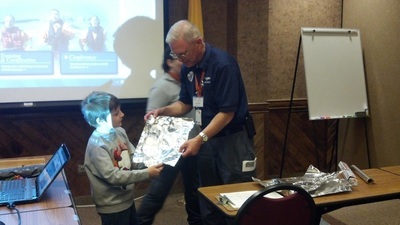 During that meeting, reports are presented and new members to the board are elected. The three-day conference also has a trade show, featuring the latest in search and rescue gear and outdoor performance clothing. Among the typical; training programs that are offered are: winter survival and search skills; medical assessment; canine cadaver training; basic search and rescue gear and search techniques; the Incident Command System; map and compass exercises; helicopter rescue and landing zone safety; high and low angle rescue; lightning safety; field trauma medical training; amateur HAM radio review; and horse, ATV and 4-wheel drive, snowmobile and canine training. One of the biggest events that take place during ESCAPE is a Field Certification Exam. Successfully completing this test helps ensure that SAR volunteers go out in the field fully prepared.